In the last few years, mass communication and journalism industry has seen a tremendous growth in terms of education, career opportunities, and mass-influence. This booming industry has enhanced the necessity of quality media education in the society and encourages students to opt this field as their career option. It is one of the industries that offer productive career along with a platform to students to exhibit their talent and creativity. Its aim is to collect and disseminate information and increase public expertise through multiple mass media channels such as news channels, newspapers, television, web portals and radio station. In the current era, Journalism has become a massive platform that provides detailed information to the mass audience about the diverse facts related to society, politics, business, fashion, war, education, health, crime, beauty and much more. It delivers major technique and skill behind the remarkable work of creating, writing, editing and presenting latest news among the society. The increasing use of documentary has also expanded opportunities for students to grow and explore the vast career opportunities in the field of short-film making with journalism. Although there are various institutes in Delhi/NCR that offer mass communication and journalism courses, no one can compete with IIP Academy. 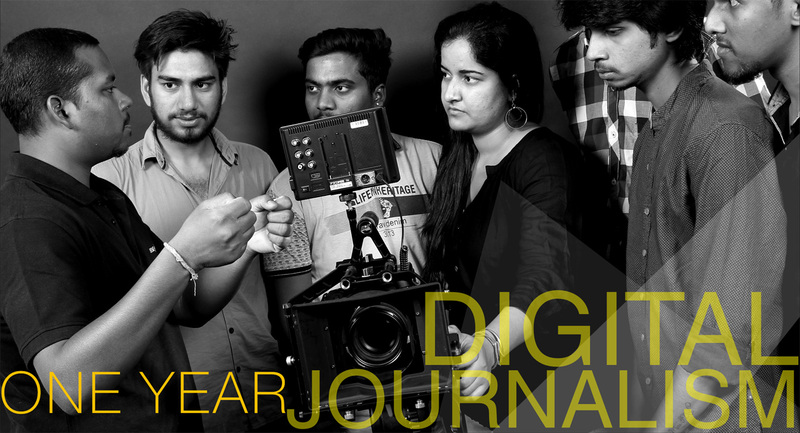 It is one and only institute that offers journalism course along with short-film making. IIP Academy offers “Dual Diploma in Digital Journalism & Short Film Making” and owns copyright for it. No other institute, college or university offers the sample syllabus that IIP covers under this exclusive course. Under this program, students will get the opportunity to learn about ‘New Journalism’ that actually is the current market demand. While enrolling under this program, students will learn about the values of Professional Journalism, its Ethics and Norms. They will get to know the nuance of political journalism, cultural journalism, event & sports journalism, crime & court journalism, lifestyle & fashion journalism and many others. They will also learn about web journalism & its impact, photo journalism, research methodologies, graphic designing and editing software in full detail. This program will provide the students with opportunities to transform themselves according to the new era journalism and become a new age journalist. In the second part of Short Film Making, students will learn about concept planning, direction, production, editing, visual effects, graphics and much more. The students will also get opportunities to enhance their marketing and event management skills and show their proficiency in the real events. In addition to this, students will acquire cutting-edge technique and skill through numerous informative sessions, live sessions, and practical training programs under one roof during the courses. The course includes the regular classes and live lecture session that will be taken by the Industry Specialist Mr. Sandeep Deo, Mr. Manish Thakur, and other guest faculty. This program ensures the individual growth as a journalist, and intensify the confidence to face the challenges in the industry.